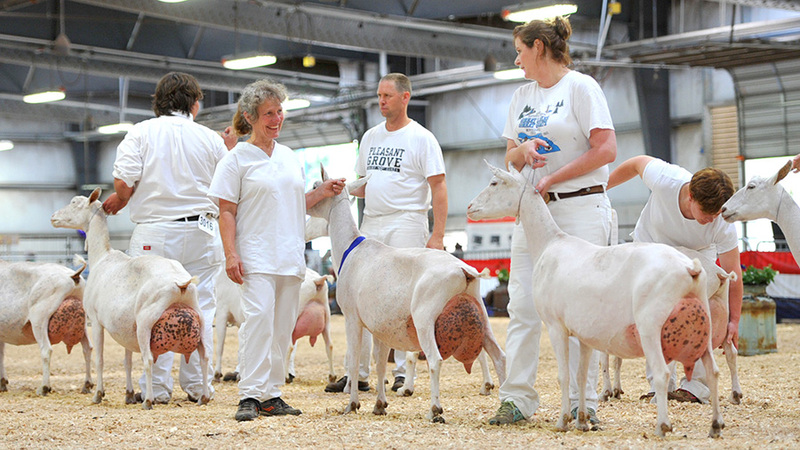 The American Dairy Goat Association National Show is the showcase event for dairy goat breeds. 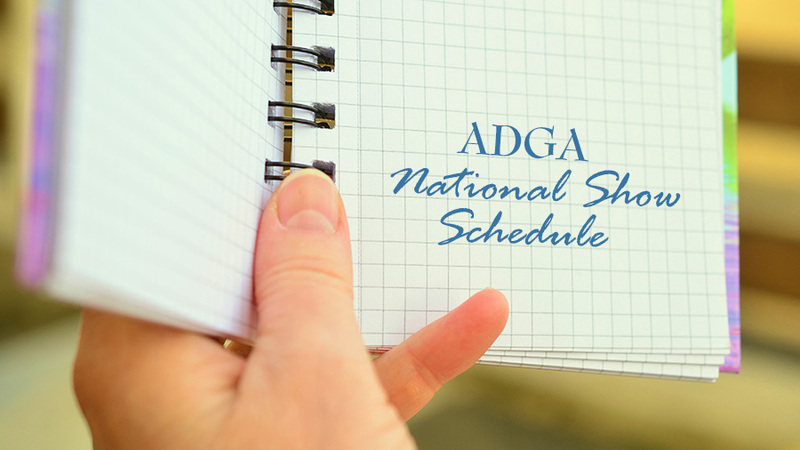 What is the ADGA National Show? 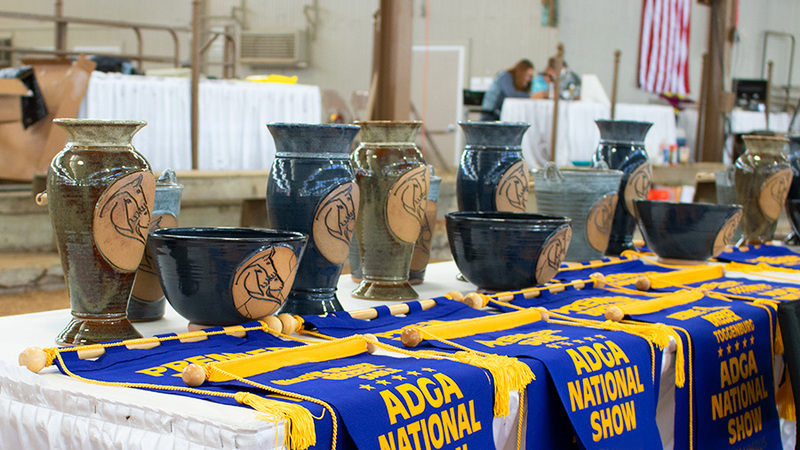 ADGA National Show 2019 will be held July 6-13, 2019 at the Deschutes County Fairgrounds in Redmond, Oregon. The Northwest National Show Association will be the 2019 ADGA National Show host. Start making plans now to be there! 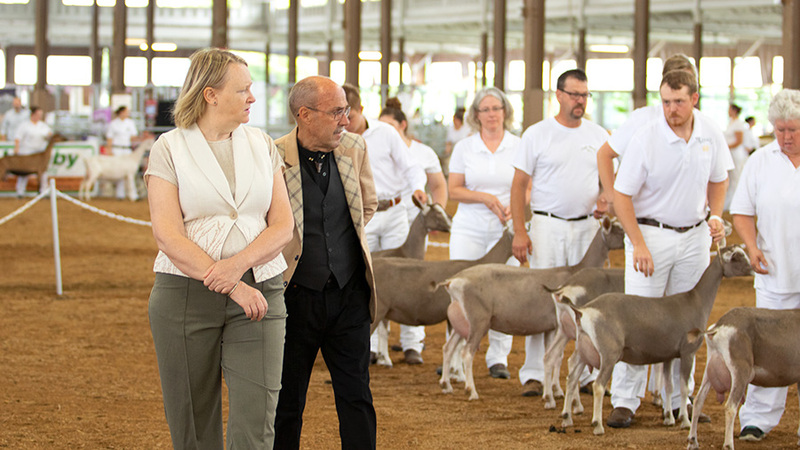 The ADGA National Show showcases the achievements of dairy goat owners and breeders for the hard work they are doing to produce high quality dairy goats. The show is a week-long event held annually in late June to mid-July. The location changes from year to year and is determined 2-3 years in advance based on bids received by the ADGA National Show Long-Range committee. Winning animals and their owners receive awards and recognition at the event and in many agricultural publications. More importantly, the owners receive prestige in the dairy goat community and can often get better prices for their breeding stock. Unlike what you may experience at a petting zoo or farm, goats that are being shown should not be fed or handled by anyone but their owner. You are welcome to wear what is comfortable for you to a show, but those exhibiting will be wearing white long pants or skirts and closed toe shoes. Out of consideration for the well being of the dairy goats, all pets need to be left at home. 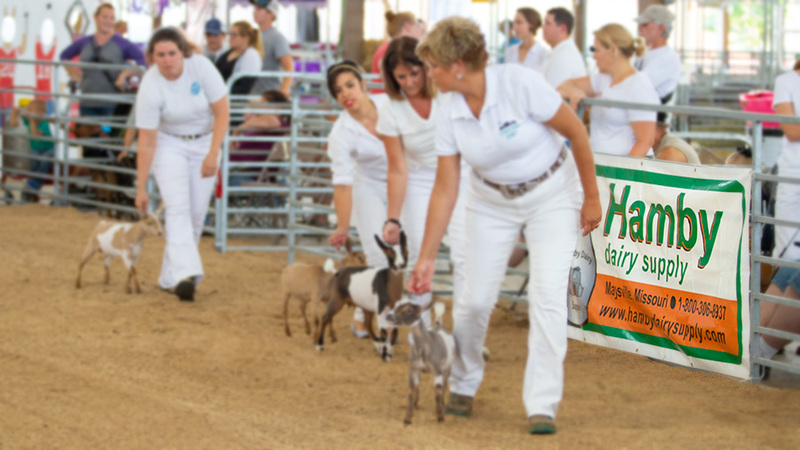 Only ESA and official service animals with documentation are permitted, and even then, ESA animals are not permitted in goat housing, show or vendor areas. 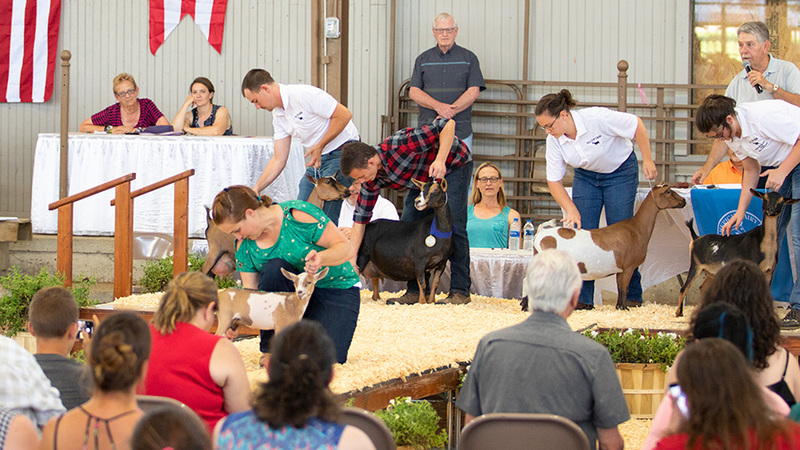 In addition to dairy goat shows where participating animals are judged in many breeds and classes, there are also youth events, a raffle or silent auction, a Wine & Cheese event, a prestigious Colorama Sale dairy goat auction and a closing awards ceremony. 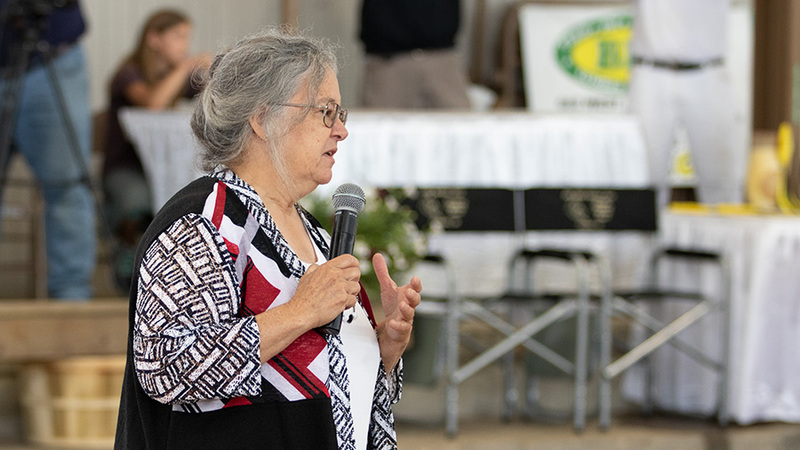 If you are a dairy goat owner interested in improving your herd or just considering owning a dairy goat, attending the ADGA National Show would help you recognize a high-quality animal. You will also be surrounded by people who have a great deal of dairy goat knowledge and experience. As you look for a friendly face to unload your dairy goat related questions on, be mindful that a goat owner may be preparing for an event and start by asking if now is a good time for a few questions. Most owners are happy to share their experience with you if you are considerate of the other commitments they have during a show. Show support for your breed and get some recognition at the same time. A few classes are still available in every other breed than Nigerian Dwarf. The preliminary schedule for the 2019 National Show has been posted. Additions to the schedule will be made frequently leading up to the show. Nominations for the 2019 Colorama Sale are now open and the nomination packet is available. Take a look at the requirements. The six judges for ADGA National Show 2019 have been selected. Their bios will be posted here as soon as they are available. 2019 Major Sponsor applications are now available. Become a National Show sponsor and receive high visibility and recognition. 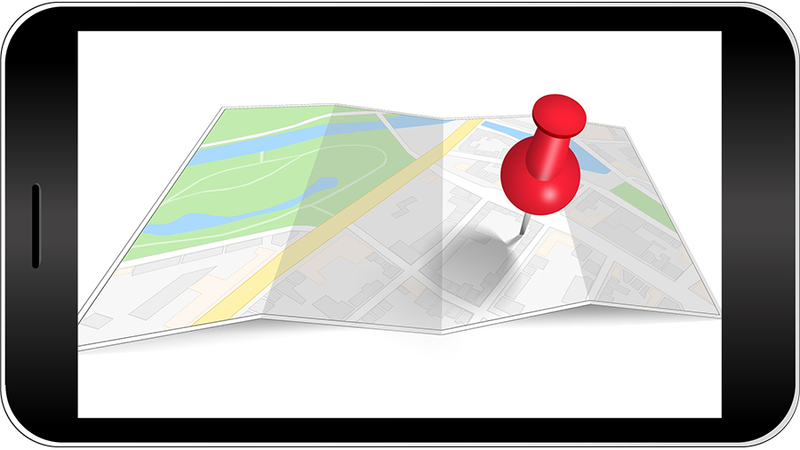 The address and directions to the Deschutes Country Fairground can be found here. Links to show results for each breed from the 2018 National Show can be found here. Downloadable Show Books are also available.